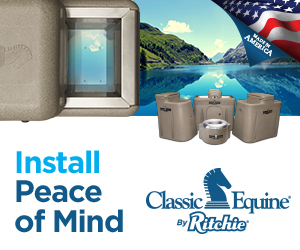 Coolers are an effective way to manage your horse’s body temperature in cold weather. 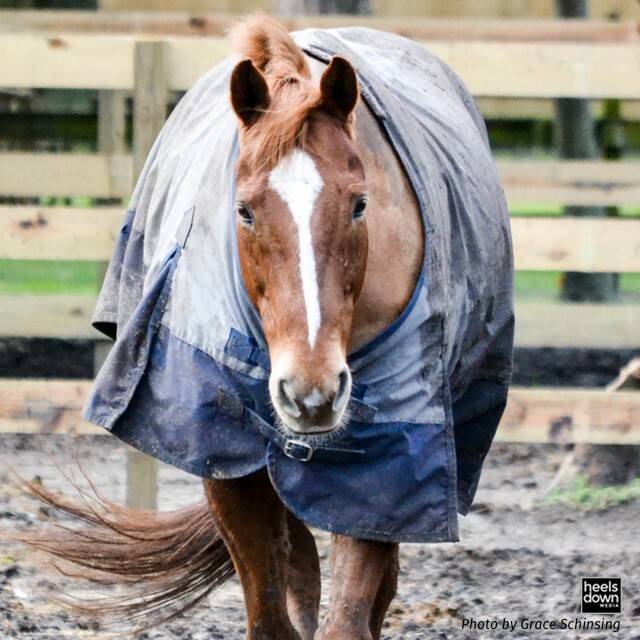 Whether or not your horse is clipped, regulating their temperature after exercise and/or bathing is important to prevent ailments such as tying up or colic. Plus, we want to ensure they’re comfortable if we’re asking them to work up a sweat in cold weather! Once you’ve decided on what type of clip, if any, to give your horse, it’s time to set your winter routine to properly care for your horse before, during and after exercise. Coolers come in several versions: wool, fleece, and Irish knit cotton. You may see these options on SmartPak and scratch your head, wondering if it’s simple preference or style that comes into this decision or if there is more to it. We asked pro groom Courtney Carson for a rundown on what type of material to use. Wool coolers are great when it’s super cold, but I try and only use them on clipped horses, as I feel they don’t breathe as well. If you put one on a hairy horse and then got busy you could run risk of them getting hot again. 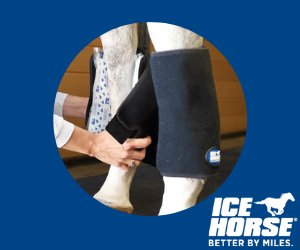 They are super warm, though, and usually the best looking of the cooler options – so if I’m at an event and walking/grazing a horse or something I will use these. But I try to not leave a horse in a stall with them on, just because i do worry they can get too warm in them quite quickly. We also wouldn’t recommend leaving a wool cooler on a horse in its stall as the material is much harder to remove shavings and hay from in the event they roll! Fleece coolers are super because they breathe really well, and they are usually a bit easier to maneuver than the wool ones. They also come in different weights – you could do a super thin one or a thicker fleece depending on the weather. And then this is where the layering comes in with Irish knits. These are probably the most versatile, and we tend to use them the most. I can trust that a heavier fleece cooler is going to continue breathing, so if we ride early in the morning and I bathe a horse, they aren’t going to get too hot if they are in a fleece a bit longer than necessary because I’m bathing or setting jumps. You do just have to watch that the thin fleece coolers don’t shift and pull at their chests and withers. I love knits the most. I always make sure I have knits on hand, whether we are showing or at home. They breathe really well, and they can act as an insulating layer under blankets or under coolers, but they can also stand alone. 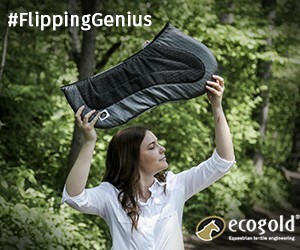 I like to use them if a horse is warm after being ridden but doesn’t need a full bath. This helps their body regulate its temperature back to normal without the muscles getting too cold too quickly. If I do bathe and it’s cold, I will layer a knit under a fleece or wool cooler, depending on the temperature and if the horse is clipped or not. I also take a knit to the vet box with me at every FEI event. Between the heat of their muscles and the rapid cooling that takes place, I feel that these are the safest to turn to for getting them back to the barn – especially if a horse has a history of tying up. Previous articleIs Tradition Enough to Save the Hunters? 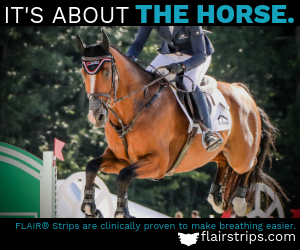 Next articleIs Your Lack of Fitness Hurting Your Horse?